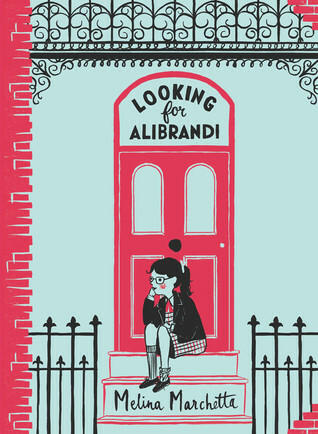 Required reading for young teens, Looking for Alabrandi is a beautifully realised tale of growing-up, fitting in, and discovering who you are. Marchetta explores the experience of growing up as a ‘third-culture-kid’ in Sydney during the 1990’s. There are so many issues/themes explored in this book; cultural identity, class division, bullying, suicide, virginity, single parenthood, and relationships with parents/grandparents, but readers won’t feel like they are being lectured to. The issues are all woven into the experiences Josie has as she progresses through her final year of high school. I love Marchetta’s writing style. It is light and conversational, and you feel you are reading Josie’s diary. First person narratives can be quite repetitive, but I found this to have a nice balance between introspection and dialogue. The only downside to this book is that it is a little bit dated, in particular having no mobile phones or computers to communicate with friends changes some of the dynamics of friendships these days. Also there are some pop culture references that fall quite flat now. Beyond that there isn’t much that I disliked. I would recommend this to teens aged 13-14, especially those in Australia. At around 300 pages it’s an easy read, and a great introduction to the world of teen fiction. It also broaches quite serious topics in a very accessible way, so is an important stepping stone.